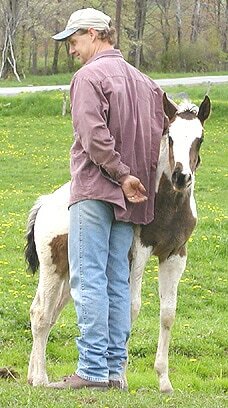 We only came to breeding horses once we had found we could be sure. 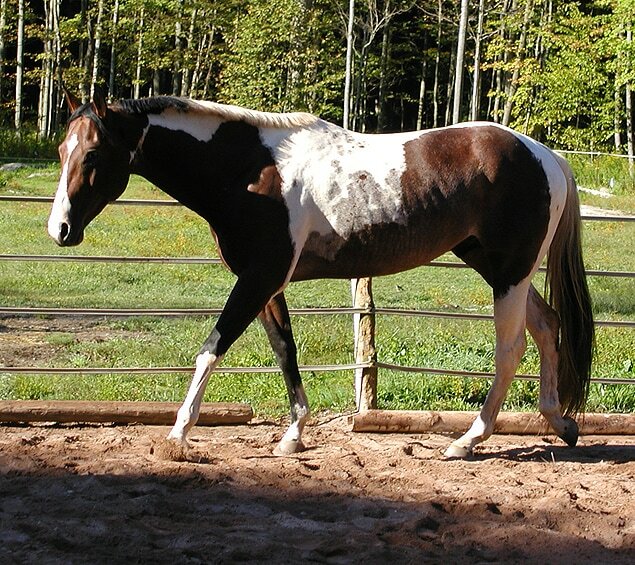 We had always loved the awesome foundation bloodlines of the Quarter Horse and Paint Horse which we had studied for many years... physically superior working lines with conformation for longevity and a can-do attitude. 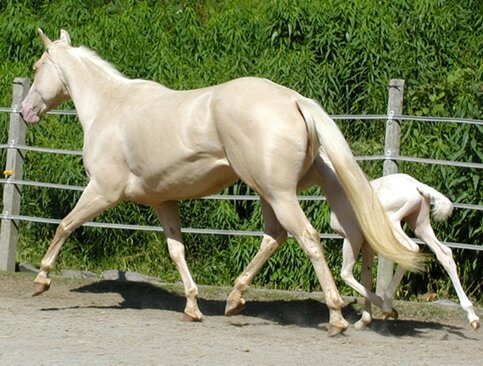 These we coupled with guaranteed color. 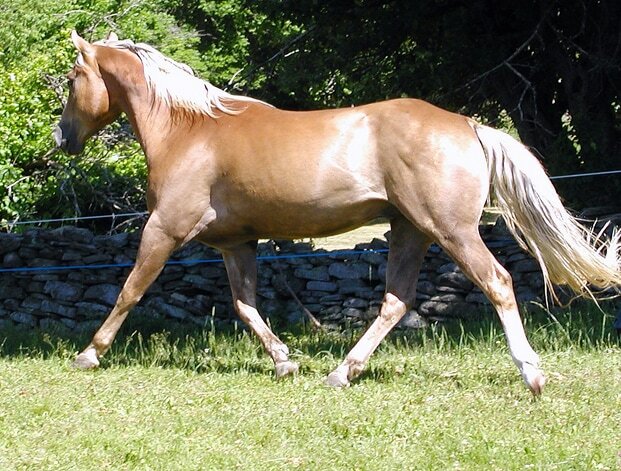 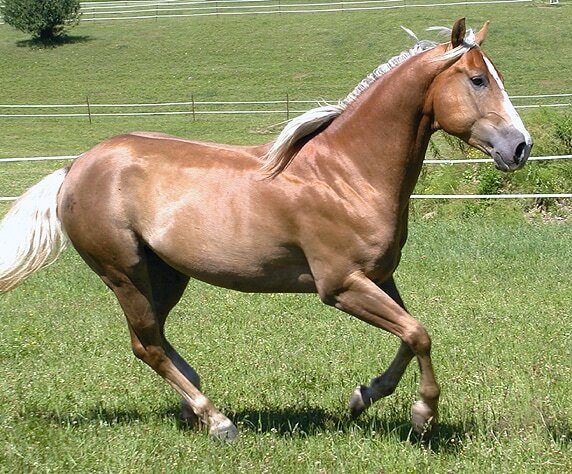 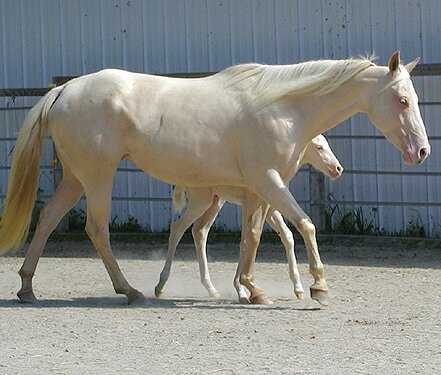 In our study of the genetics of coat color in the early 2000's, we found that the crème gene which produced Palomino and Buckskin was detectable by a DNA test from UC Davis. 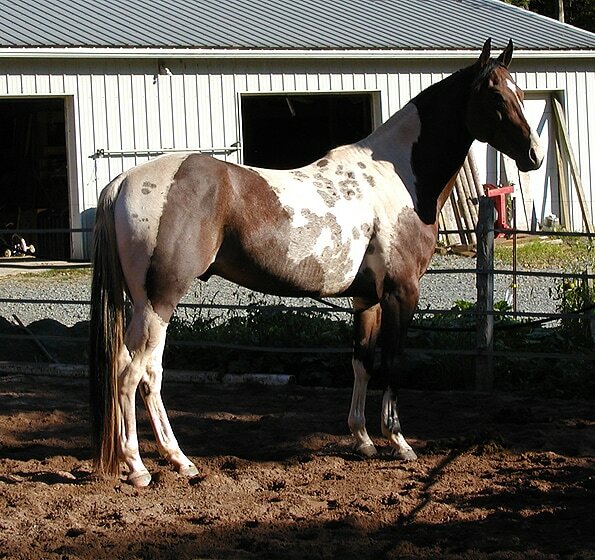 Also available was a DNA test for the Dun gene and the Tobiano coat pattern. 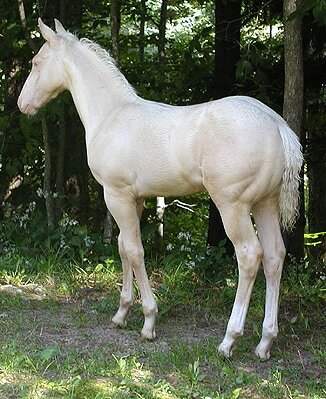 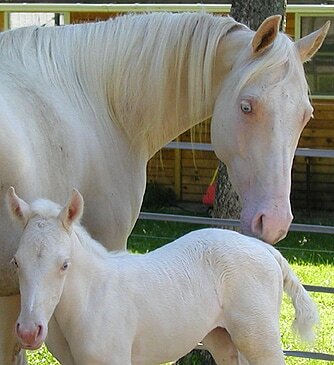 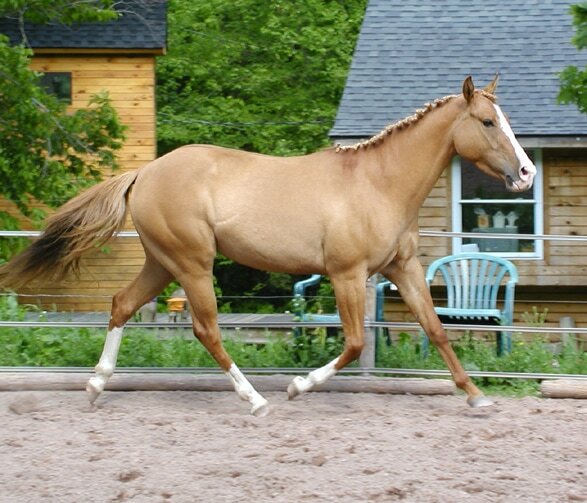 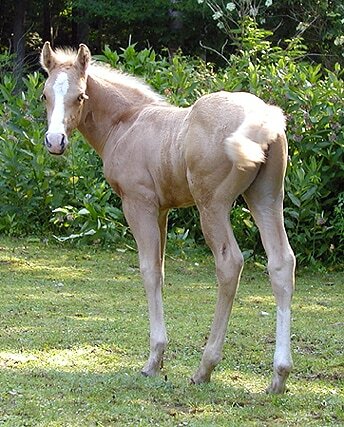 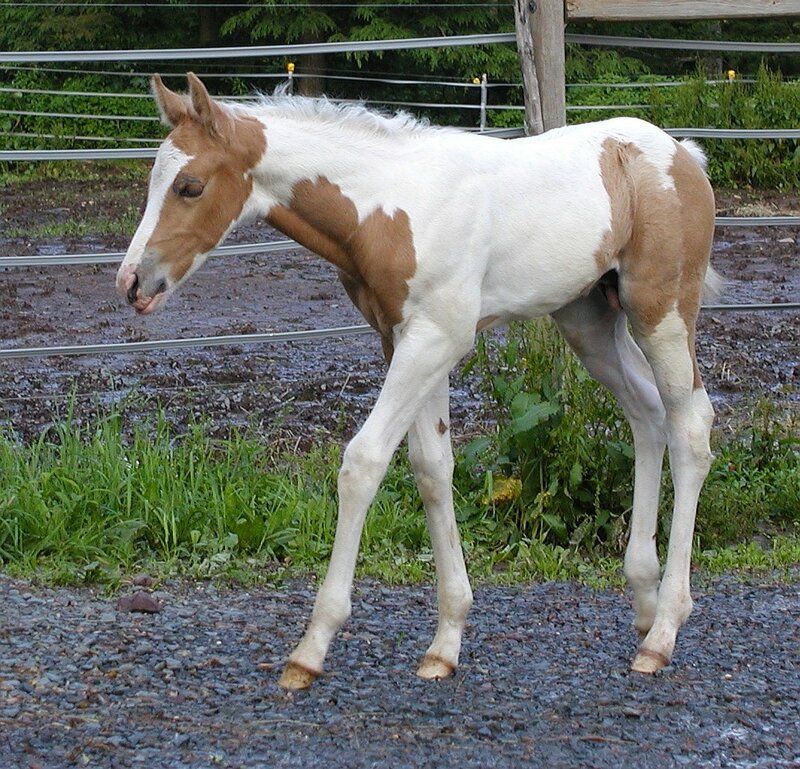 We could now be sure that the Paint Horses we bred would always produce 'painted' foals, and we could add Dun points for decoration, and produce "gold" with 100% accuracy by incorporating Cremello and Perlino horses into our program. 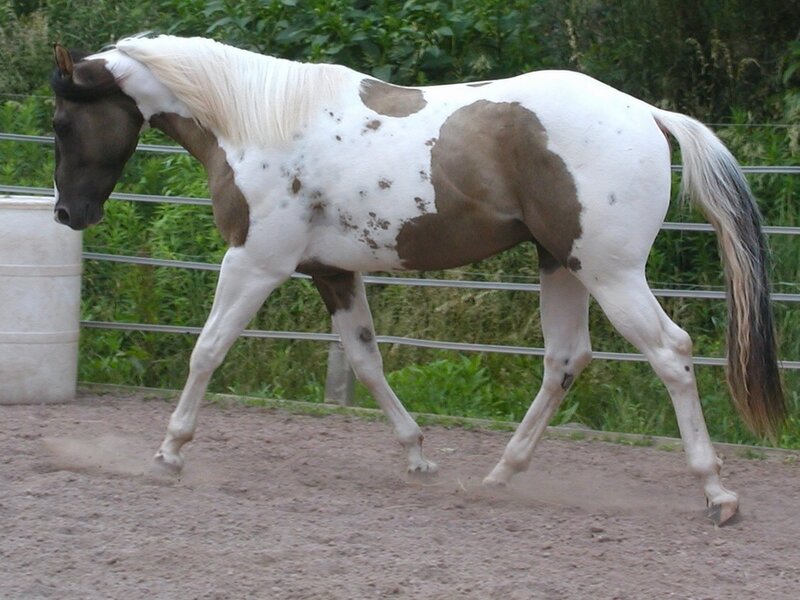 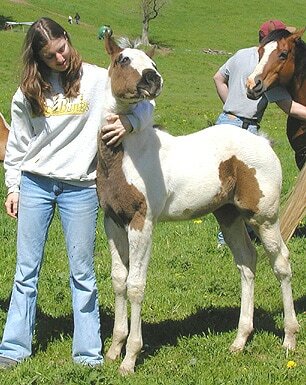 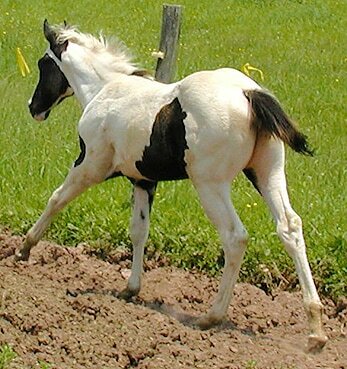 BELOW: Big Grulla (black dun) ... "JACK" is Homozygous for Tobiano. 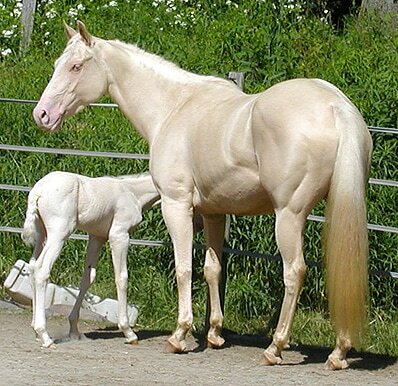 Also carries one Crème gene and one Dun gene! 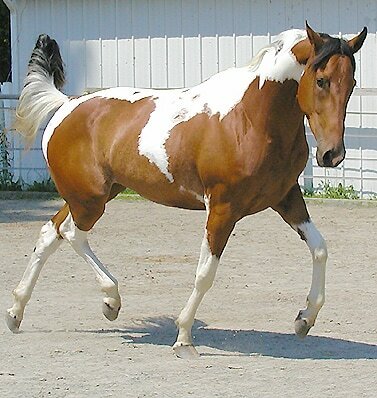 Jack goes back to Leo on 5 lines and has 6 APHA Champions in his 4 generation pedigree. 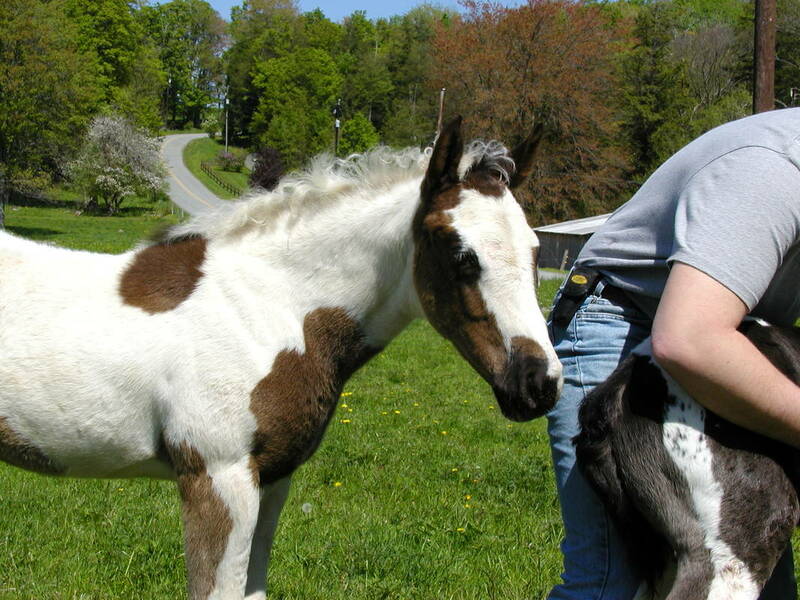 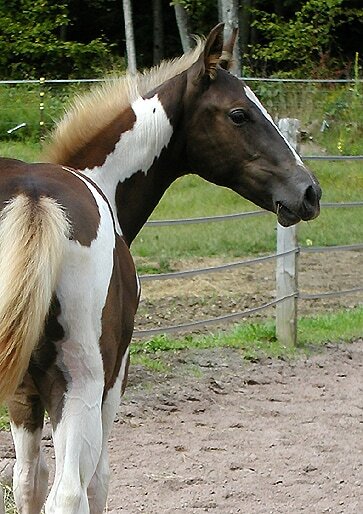 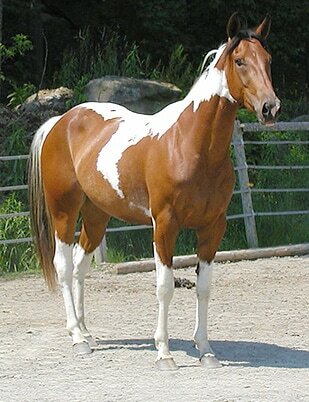 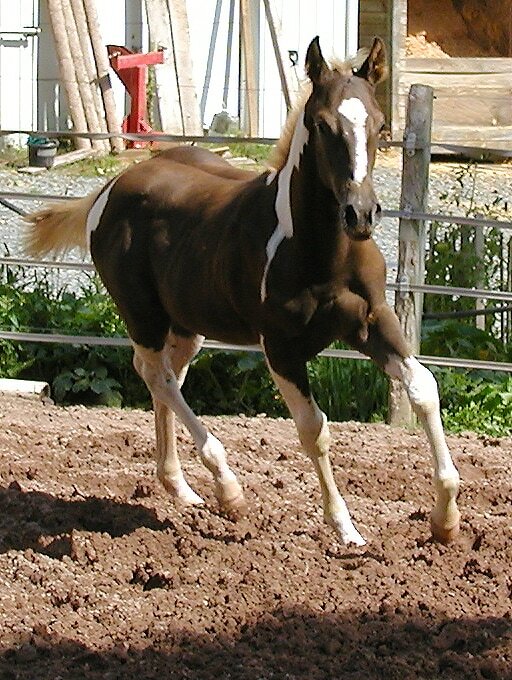 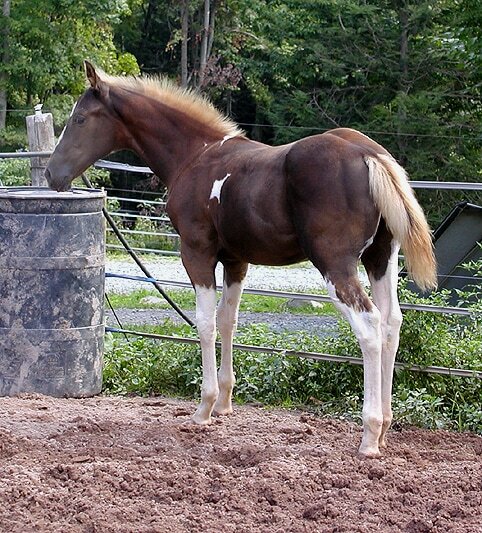 HOMOZYGOUS TOBIANO Mare "BECKY" full sister to SIERRAS DAZZLEM DANDY (top of page). 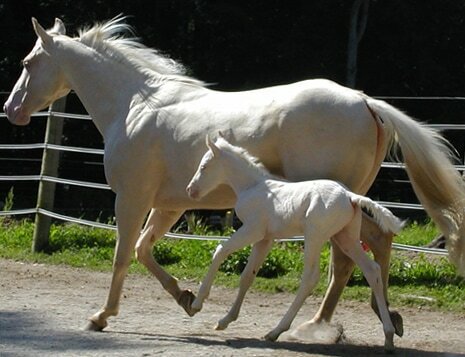 ​- Along this earthly JOURNEY there have been many twists, perilous drop-offs and cliffhanging moments. 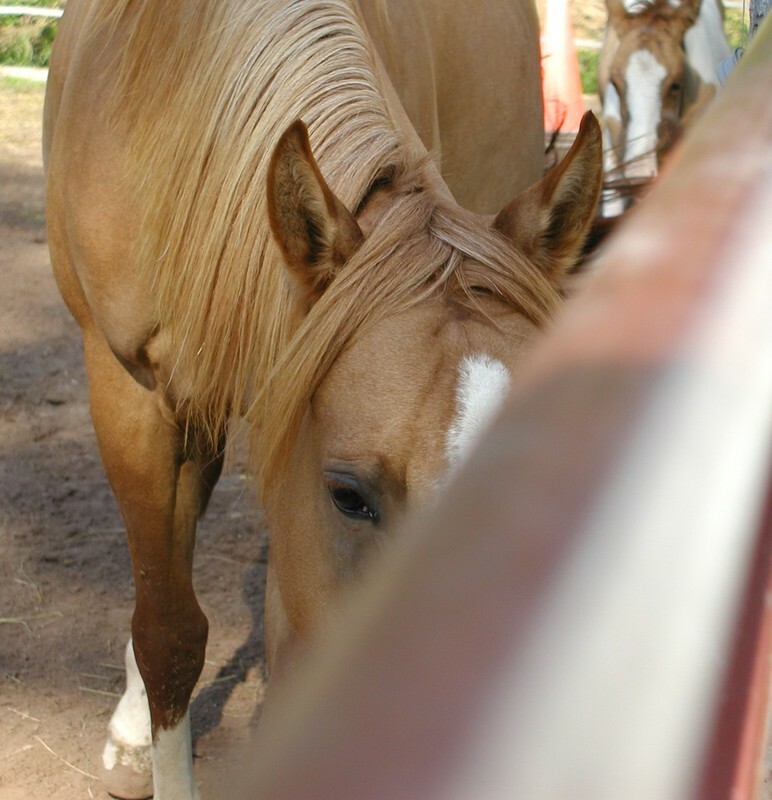 Most times we honor God. 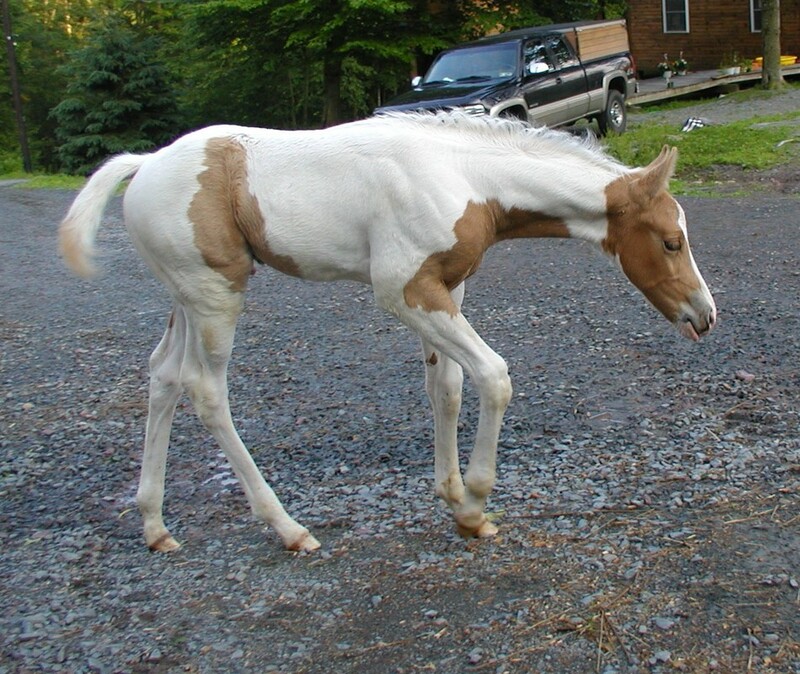 Sometimes we fail. 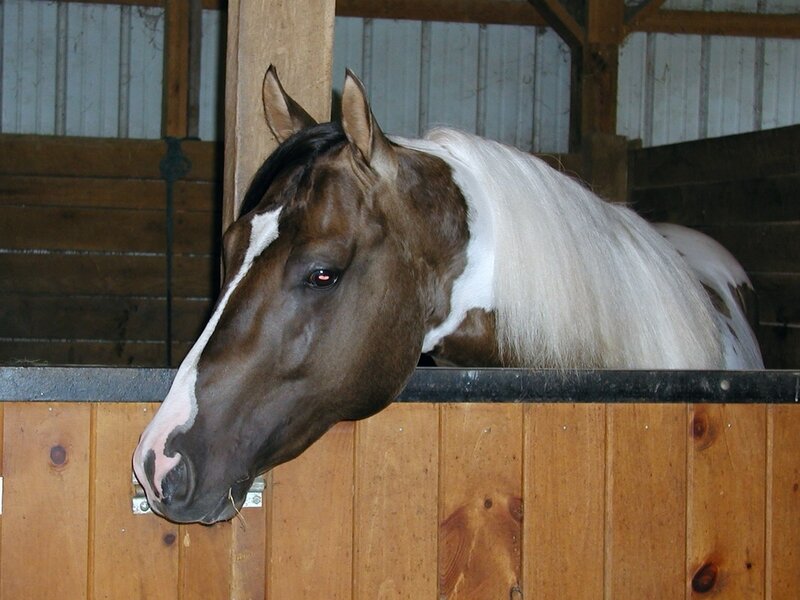 ​He loves us anyway ... can you imagine? 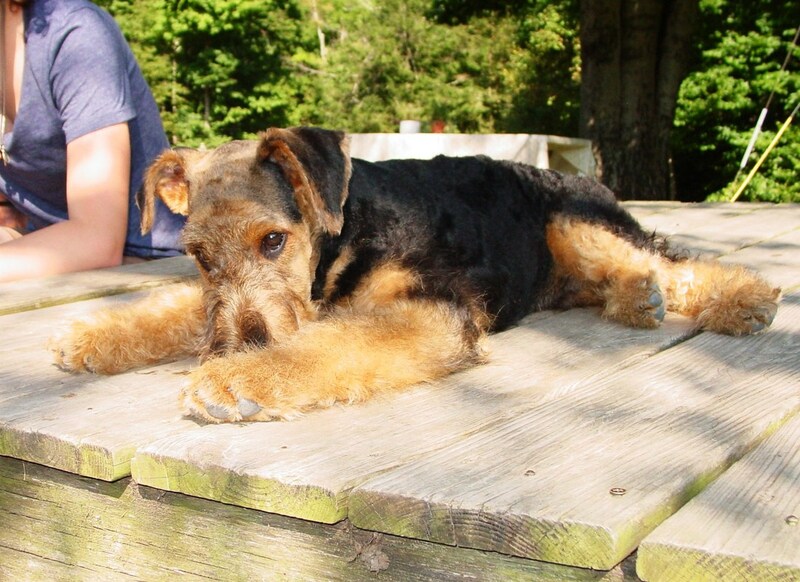 Oh Lord, how You love me! 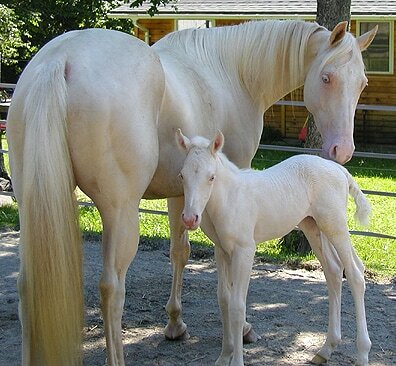 How You love me ...! 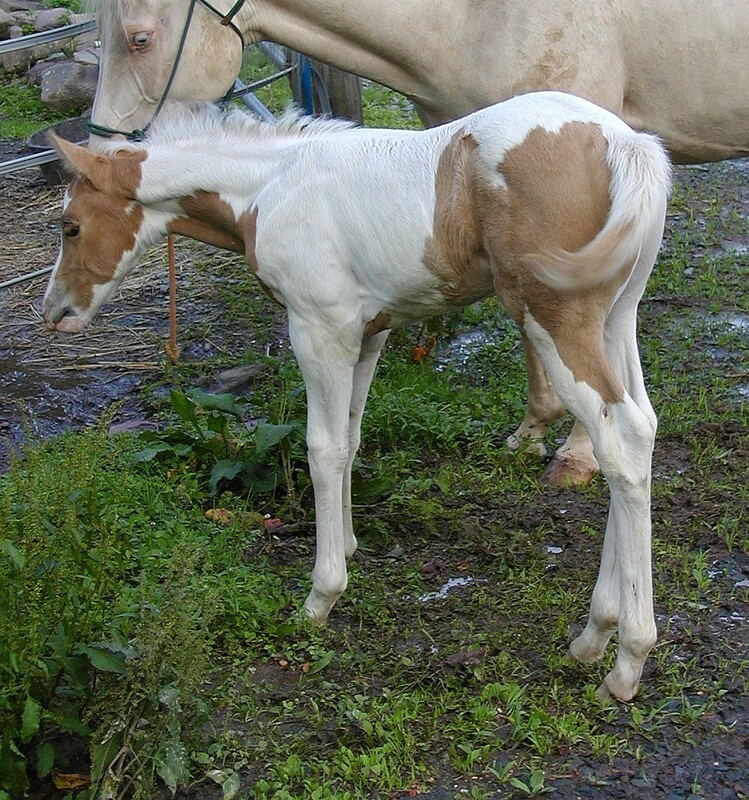 same CREMELLO COLT @ 8 weeks "ARTIE"